I got this tag from Cee of Living A’ La Mode, Seiko of Seiko’s Diary and Jacris of Mom’s Special Diary. According to Dictionary, Plagiarism is the unauthorized use or close imitation of the language and thoughts of another author and the representation of them as one’s own original work. I urge everyone to spread the word around. 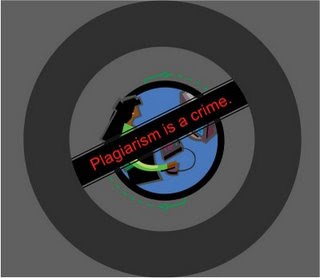 Stop plagiarizing others’ works. BE ORIGINAL! This entry was posted in Plagiarism, Tags. Bookmark the permalink. 4 Responses to Be Original! AMEN to that mommy tetch! Thats a nice tag tetcha,.. just visiting how is it going? Cheers to you! I totally agree. Great post! Thanks for including my name Mommy Tetch.Have a nice day.Hugs!